I'm really digging the looks of this scrub! It looks particularly scrubby - my favourite! The choice of scent is interesting but fairly nice. This is a nice, big tube as well so I imagine it'll last me a while! I'm a big fan of foot scrubs, especially with the warm weather approaching! Full disclosure, my feet don't get the attention they truly need. This particular scrub smells incredibly strong, so I have no doubt that this will do the trick! This sounds super interesting. I love peeling masks, but I've never tried one made of cereal! Apparently this is great for blackheads, which is just what I look for in my face masks! I can't wait to try this one and see how it goes. This one also looks incredibly scrubby, so I'm excited to try this one out. It includes grapefruit, sea buckthorn and red poppy petals; which sounds incredibly exotic and unlike anything I've tried before! I was really happy to see something included for lips as well as face and body. 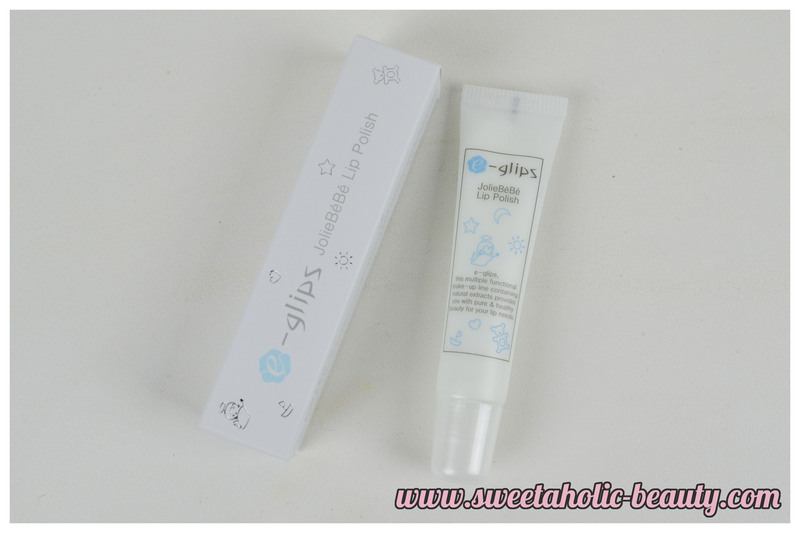 This contains bead like grains and jojoba oil to help keep your lips smooth and soft! It also smells amazing, which is a plus! I haven't tried this out yet, but I have high hopes. This was something completely unique, and I can't wait to try it out. 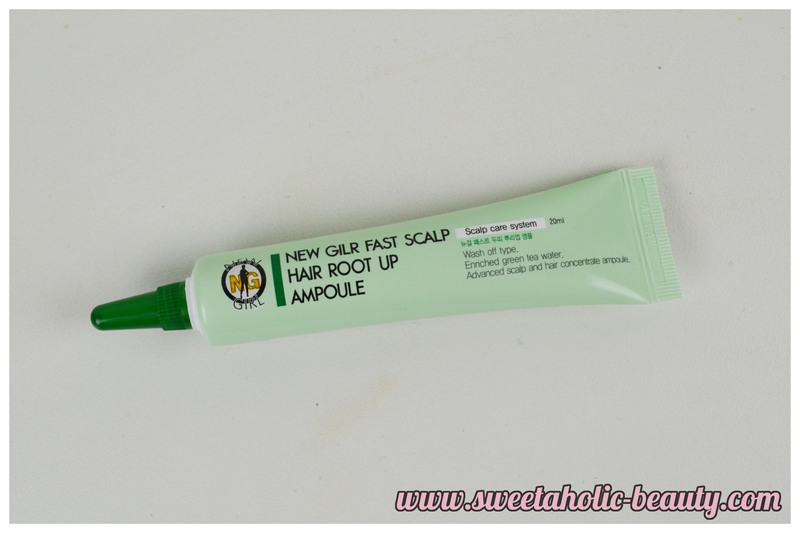 Essentially this is a scalp scrub, to help clean your scalp of dead skin cells and built up skin impurities. This is something I imagine most people would enjoy using! I'm surprised there aren't more products like this on the market. 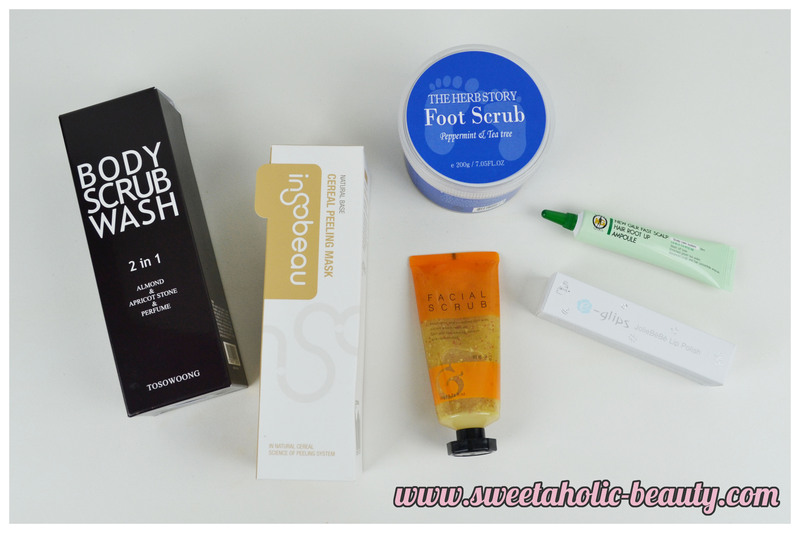 Overall, I was super impressed with the Memebox Scrub Box. 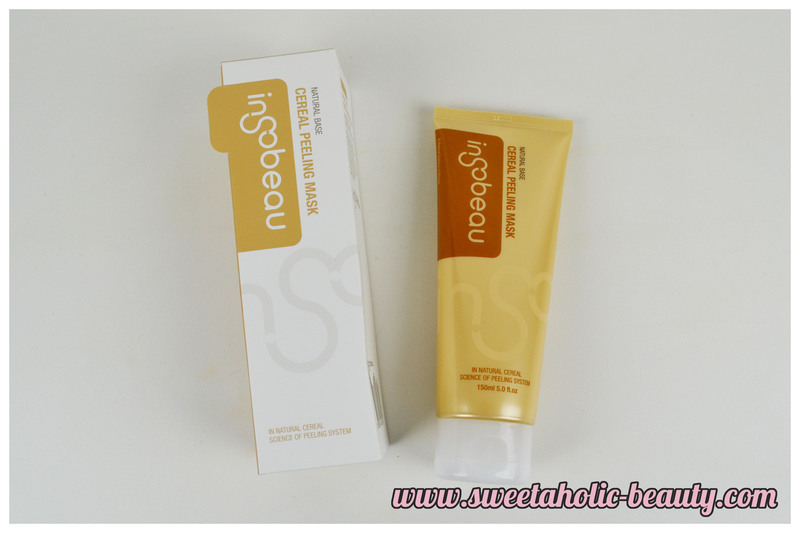 Scrubs are my favourite skin products, so for me, this is definitely a box worth purchasing. I liked the selection of products and that it wasn't just all facial and body scrubs. Have you tried the Memebox subscriptions yet? If so, what are your thoughts? You can purchase this Memebox here. Awesome products! 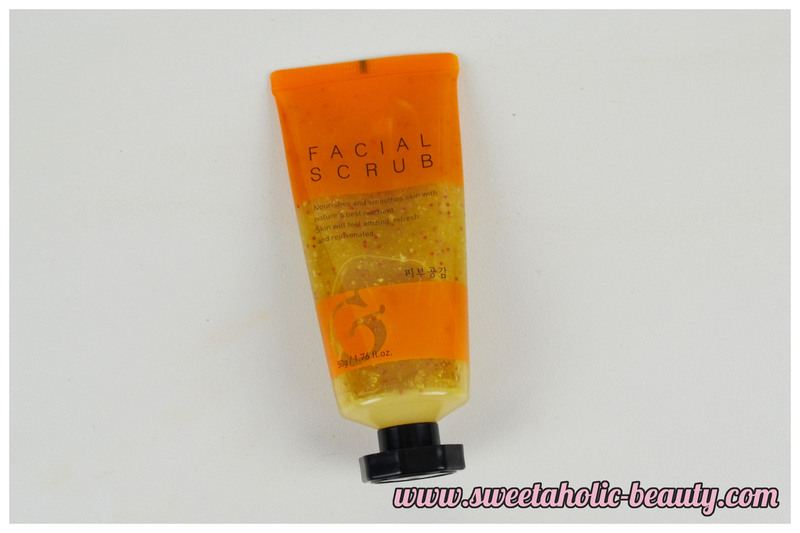 They've really thought outside the box of the basic 'face scrub, body scrub' products too. Gotta love Memebox for that! I am particularly interested in the Cereal Peeling Mask and the Scalp Ampoule!! This box has lots of lovely sounding products! I love scrubs in general. I hope you enjoy them! I love that you used the word 'digging'! It's a great looking scrub, I agree. I totally can't work out the last item either. What a great looking box! I love scrubs as well. You just feel so clean and refreshed :-) I'll have to add it to my list of boxes to try. 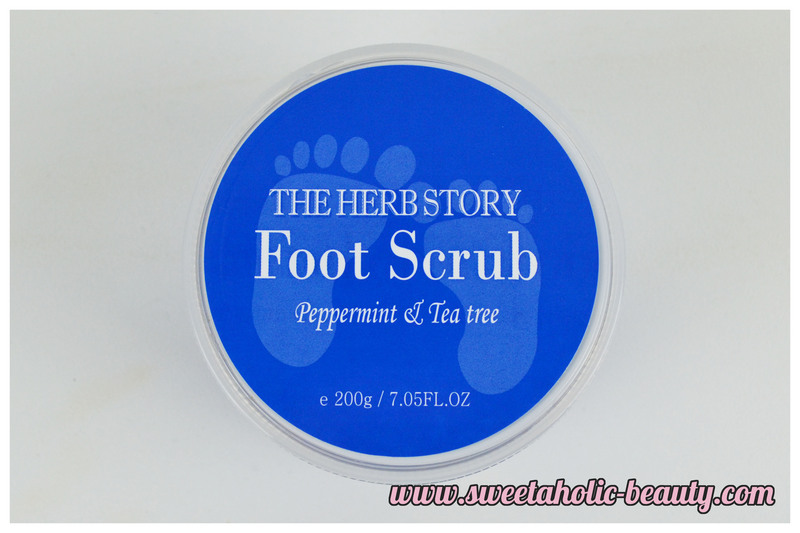 That foot scrub sounds amazing! I'm a huge fan of feet products haha, and the feeling you get after giving your feet a good scrub is so satisfying!